Figure 123. Measuring Threaded Pipe. 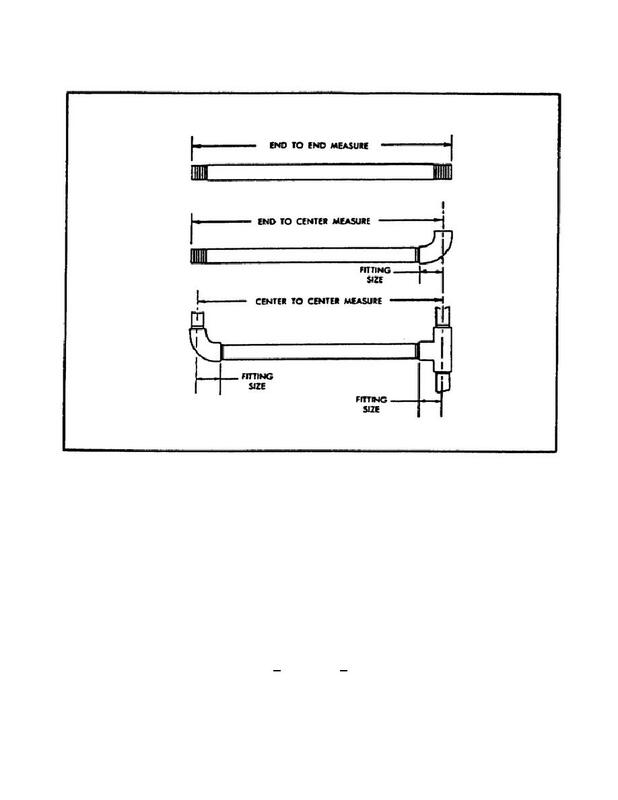 Home > Ordnance Documents and other related manuals > > Figure 123. Measuring Threaded Pipe. center of the other fitting at the opposite end of pipe. pipe, the length of thread is 1 1/8 and 1 1/2 inches respectively. required, compute as outlined in 1 through 4 below.